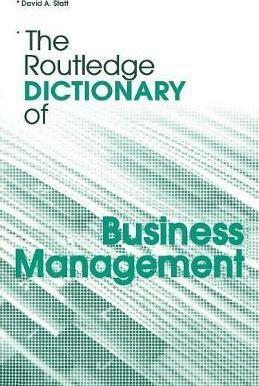 A fully comprehensive resource for those wanting to know about the world of business management. Students and working professionals alike can enjoy quick and accessible definitions and the extensive cross-referencing system allows readers broader access to subject areas. This dictionary covers all the topics, issues and terms in the field, including: business economics, consumer behaviour, corporate strategy, financial management, human resource management, information technology, management accounting, marketing and organizational behaviour and work psychology.